Writer/director Roland Emmerich might be in for another monumental summer blockbuster later this month when audiences the world over witness the release of his much anticipated franchise sequel Independence Day: Resurgence. Taking place exactly twenty years after the events depicted in the original 1996 film, the new movie is set to feature returning cast members Jeff Goldblum (The Grand Budapest Hotel), Bill Pullman (American Ultra), and Vivica A. Fox (Kill Bill), alongside newcomers Liam Hemsworth (The Hunger Games), Maika Monroe (The 5th Wave), and relative newcomer Jessie T. Usher. Independence Day: Resurgence will pay fairly obvious lip service to the now infamous War of 1996 from Independence Day, and the latest theatrical trailer promises what the director has claimed will be a sequel about "big ideas." On that note, the latest exclusive clip from the new movie promises even more mayhem soon to come. The footage featured above from Independence Day: Resurgence hints at certain alien markings left by visitors from another world, meant to illicit fear in their human recipients. Following a brief conversation between Goldblum and co-star Charlotte Gainsbourg (Nymphomaniac), the two extraterrestrial investigators discover that the markings are meant to track a human host, leading the two to conclude that the aliens are hunting them and not the other way around. There is plenty of high-tension drama to be found in this latest exclusive clip from Independence Day: Resurgence, and it's quit stirring to see Goldblum glide so effortlessly back into the role of David Levinson. With any luck the rest of the film will prove to be in keeping with this particular scene, and serve to more fully establish and explore the themes hinted at in Goldblum and Gainsbourg's fleeting exchange. Whether or not Independence Day: Resurgence lives up to its name and all of the hype that has built up surrounding its inherent legacy remains to be seen, though everything shown thus far from the behind the scenes of Emmerich's blockbuster sequel looks promising. Here's to hoping that the impending War of 2016 will be another earth-shattering event whose reverberations will be felt around the world when the movie finally sees theatrical release later this month. 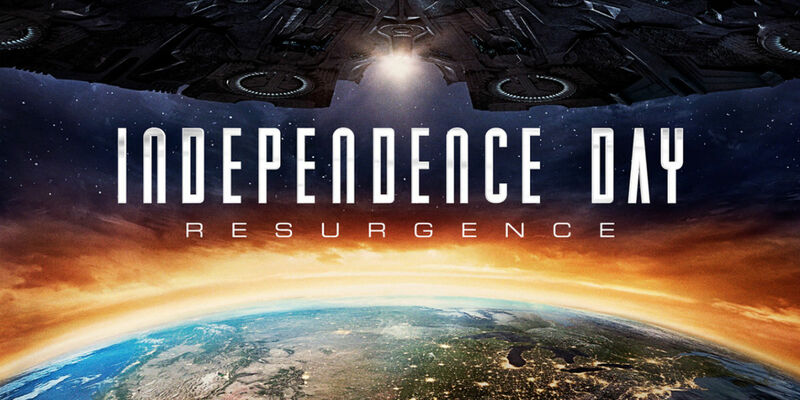 Independence Day: Resurgence will see theatrical release in the U.S. on June 24, 2016.